Newsletter for the week of November 9, 2012, including an election summary & headlines: "Bipartisan Group of Senators Call for Better Forest Management", "Peterson Calls for Quick Farm Bill Action", "In Shocking Development, Thinning Project Tames Fire Behavior", "Washington GOP Members Call for Better Forest Management", "Francis Marion NF Begins Plan Revision"
Quote of the Week: “Specifically, we ask you to consider expanding the timber management program, and prioritize timber sales.” – Bipartisan Senate Letter to Agriculture Secretary Vilsack. Bipartisan Group of Senators Call for Better Forest Management: A bipartisan group of western senators asked Agriculture Secretary Tom Vilsack to support proactive forest management, utilizing the timber industry, to reduce fuel loads in wildfire-prone areas and improve community safety throughout the West. Led by Sen. Mark Udall (D-CO), the letter was also signed by Senators John Barrasso (R-WY), Michael Bennet (D-CO), Mike Enzi (R-WY), Tim Johnson (D-SD), John Thune (R-SD). You can read the letter at this link. "We are at a critical juncture. With historically overgrown forests, a continuing drought, vast stretches of beetle-kill forest and more people living in fire zones, we need to work expeditiously to promote ecological restoration. … We write to express our support for treating more acres in our states – particularly in the wildland-urban interface, and backcountry areas with critical infrastructure. Specifically, we ask you to consider expanding the timber management program, and prioritize timber sales," the senators wrote. "This capacity is critical to support local economies, safeguard drinking water supplies, and protect communities. … There has never been a better time to reduce the risk of catastrophic wildfires, restore forest health, and create jobs while also helping us convert hazardous fuels into energy." Peterson Calls for Quick Farm Bill Action: House Agriculture Committee Ranking Member Collin Peterson (D-MN) this week called on Speaker Boehner and other Republican leaders to bring up the Committee passed Farm Bill as quickly as possible. “The election is over so it’s time to get to work. I’m optimistic that, if given the chance, we have the votes to pass a five-year farm bill. There is no good reason not to vote on the bill when we return next week, before Thanksgiving,” Peterson said in a written statement. “This will give us the time we need to work out our differences with the Senate and get a new five-year farm bill signed into law by the end of the year.” Both the House and Senate Farm Bills include language giving the Forest Service authority to react more rapidly to certain insect and disease outbreaks on the National Forests. The House bill eliminates administrative appeals for projects covered by Categorical Exclusions. Consistent with the view of Senate Agriculture Chairwoman Debbie Stabenow (D-MI), Peterson added “I remain opposed to an extension of any kind for any time.” The Senate passed their Farm Bill on June 21st. The House Agriculture Committee approved their bill after a marathon mark-up session on July 11th, but thus far have not brought their bill to the House floor. The expiration of farm programs is leaving farmers with little guidance as they take steps to finance and plan their operations for 2013, but the pressure to make decisions will increase as planting season approaches. In Shocking Development, Thinning Project Tames Fire Behavior: When the Mustang Complex fire in Idaho reached Hughes Creek, firefighters knew they were on safer ground. According to the Missoulian, firefighters knew the thinned forest wouldn’t burn as hot and consequently “they’d fight with their shirts off,” said Lynn Bennett, a fire ecologist. The Mustang fire eventually grew to 340,659 acres in the mountains along the Montana-Idaho border just south of Lost Trail Ski Area. After starting in July, the fire raged on into August, burning 30,000 acres a day before it reached Hughes Creek. In the Hughes Creek drainage, the Lemhi County Forest Restoration Group put together a 13,000-acre project that thinned some forest acres, removed limbs and slash from others, and started prescribed burns on still more. If the Mustang got past Hughes Creek, it had a clear shot at the community of Gibbonsville and the slopes of Lost Trail Powder Mountain ski area. To the south, near the North Fork Ranger Station, flames did get across Highway 93. Instead, the fire reached a four mile wide area of thinned trees and reduced fuels. Because of the Hughes Creek projects, dozens of area residents got jobs clearing slash, repairing roads and cutting timber. FFRC Pyramid Mountain Lumber in Seeley Lake received a lot of sawlogs. And a big group of environmentalists, timber workers, Forest Service staff and landowners found they could work together. Francis Marion NF Begins Plan Revision: The Francis Marion National Forest announced last month it is beginning a process to revise its forest plan. The plan provides direction for managing the forest's longleaf pine restoration activities; recreation areas; vegetation; rivers and tributaries; wilderness areas; fish and wildlife, including the red-cockaded woodpecker; and cultural and heritage assets. "The Francis Marion National Forest plays a unique role in South Carolina's coastal landscape," said Acting Forest Supervisor Keith Lawrence. "A revised forest plan will further enhance the national forest's contribution to South Carolina's ecological, social and economic sustainability." The Francis Marion National Forest is one of the first national forests to revise its forest plan under the new Forest Service planning rule, which FFRC has gone to court to block. 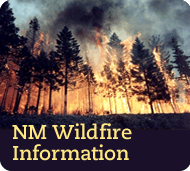 The plan revision is expected to take about three years, which starts with a comprehensive assessment of conditions and opportunities on the national forest to help identify and evaluate relevant information. After this assessment is concluded late spring 2013, the next step is to draft a revised forest plan, including the development of an Environmental Impact Statement. Public involvement and collaboration will continue throughout the process. The current forest plan was approved in 1995 and has provided management direction for the past 17 years. n The Democrats will actually increase their margin in the Senate, although not to anything close to a veto-proof majority. We will see some significant changes in the Committees with authority over the Forest Service. Sen. Thad Cochran (R-MS) may take over as ranking member on the Senate Agriculture Committee. Sen. Richard Shelby (R-AL) will likely take over as Ranking Member on Senate Appropriations. On Energy & Natural Resources, Sen. Ron Wyden will ascend to the Chairmanship, and will retain his long-standing interest in Federal forest issues. Sen. John Barrasso (R-WY) will become the ranking member on the Forestry subcommittee. On the House side, the most significant change will be on the House Agriculture Committee, where Rep. Kurt Schrader (D-OR) is expected to take the ranking member slot on the forestry subcommittee. This will represent a new – and much higher – level of energy for our issues on this subcommittee. With Rep. GT Thompson (R-PA) already very interested in these issues, we could have some significant attention from this committee. On the Appropriations Committee, timber champion Rep. Mike Simpson (R-ID) will retain his Subcommittee Chairmanship. The Interior Subcommittee will see some change, as Jeff Flake (R-AZ) has been elected to the Senate and long-time friend Norm Dicks (D-WA) retired. Rep. Bob Goodlatte (R-VA), who hails from one of the most public land heavy districts east of the Mississippi, will become chairman of the House Judiciary Committee. We should be able to work well with him on Equal Access to Justice Act reform. We have credible reports that Doc Hastings (R-WA) will remain as Chairman of the House Natural Resources Committee. Summary: This was a status quo election, which is remarkable given the anemic pace of the economic recovery. Moreover, at this point, it appears that only 8 of the very large (87 member) 2010 Freshman GOP class have lost their re-election bids, which sends a signal to the House that strong fiscal conservatism will be rewarded. Neither side won a clear mandate, and there is little reason for either party in Congress – or the White House – to believe they will have more leverage after the Lame Duck session. This raises the distinct possibility that a large “grand bargain” to avert the so called “fiscal cliff” could happen in the next 47 days. Both House Speaker John Boehner and President Obama gave speeches in the wake of the election, with each man suggesting that they wanted to avert the cliff rather than make a short-term deal. Obviously, this election did not turn on natural resource or environmental issues. They rarely came up in close races, and to the extent the Presidential candidates raised them, it was to discuss energy policy (and then always to talk either about “green energy” or “energy independence”). This isn’t necessarily a disadvantage. We need solutions to the inherently unsustainable situation facing our public lands. Hopefully, cooler heads will see the situation on the National Forests and conclude that solutions, not conflict, are in their best interest as well. The Week Ahead: Congress will return to Washington on Tuesday, November 13th for what promises to be a busy, if not chaotic, lame duck session. There are no forestry-related hearings on the schedule as of today.